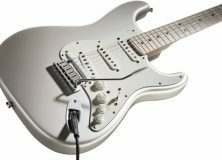 Fender has pulled the silk cloth off their new signature Stratocater recreating the current state of guitarist Michael Landau’s own 1968 Strat. The respected session and solo guitarist has been a long time Strat player, and Fender’s Custom Shop has presented a recreation of his 1968 Sunburst Stratocaster. The result is a beautiful instrument accurate to the generation the original was designed in, and reliced to recreate the character of a guitar that’s been there and done that. While this is a signature model made with respect to Landau’s own guitar differences seem inevitable. 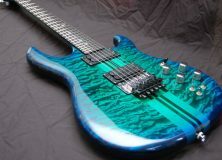 I think the part that’s going to have people most interested is the sound of the pickups. It’s not the 60s anymore. Technology’s changed with the times and what with Abigail Ybarra retiring from Fender’s Custom Shop getting a set of Abigail hand wounds like Landau has installed in his 68 Strat isn’t quite as practical for everyone else. Fender’s answer to that is the trio of Custom Shop Fat 50s single-coils. I’m sure the sound is similar enough that people like me wouldn’t notice, but I wouldn’t be presumptuous as to speak for the guitarists far my greater out there. If your ear is so great that you can tell the difference in the sound of electrons moving a current between one cable and another then you’ll probably be able to zero in on at least some difference here. Here’s a video of Landau playing the Custom Shop model. A lot of the other features for the CS 1968 Strat stay quite accurate to the original model. I mean, the core Stratocaster design his been pretty consistent over the decades, so it’s not like the body’s dimensions or the woods used are going to throw anyone off. The finish is quite accurate to the generation with the use of nitrocellulose lacquer. With a suggested retail price of $5,200 the CS Michael Landau Relic 1968 Strat is probably best marketed towards seasoned veterans of the guitar. 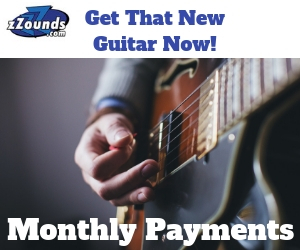 Guitarists that have put in their time and are looking for a guitar that can raise the bar. Based off Landau’s performance in the video above I’m more than willing to credit the model as a quality instrument. And for your aesthetic needs, the 68 CS Strat is available in black or sunburst. That is with the exception of the parts where the paint is missing. Those are a seductive shade of alder. 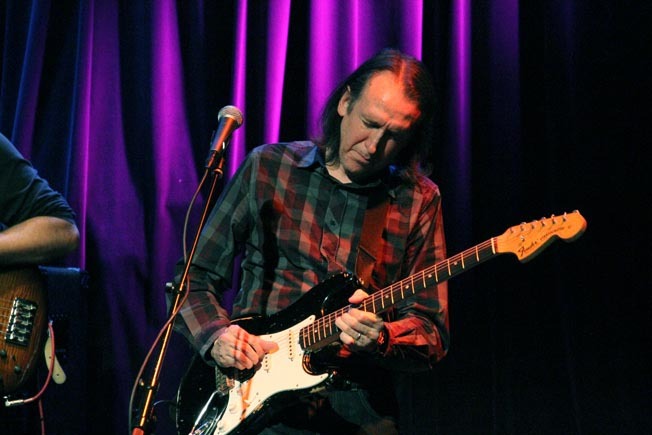 To find out more on Michael Landau’s signature Stratocaster including a full listing of the specs you can check out the respective page on Fender’s web site.